During our trip to New York we also visited the Whitney Museum of American Art. The Whitney focuses on American art from the 20th and 21st centuries. It was founded by sculptor and collector Gertrude Whitney, who wanted to promote the work of American avant-garde artists she felt were going unrecognised. After the Met Museum declined her gift of 700 works of art for their collection, she opened her own gallery in 1929. It was a great year to visit the Whitney - in April it finally opened its new doors after the five year construction of a new gallery in the Meatpacking District. The new building was remarkable to see, it has been designed by architect Renzo Piano, known for his many prizes and museum constructions. While he has been criticised for his imposing structures, we were struck by the boldness and bravery of his design. We were most intrigued by the Whitney's permanent collection which ranges from 1912 to the mid 60s and traces the development of American Modernism. Unsurprisingly, the collection is dominated by Abstract Expressionism. Among the works on display by Edward Hopper was this study for his iconic painting 'Nighthawks'. 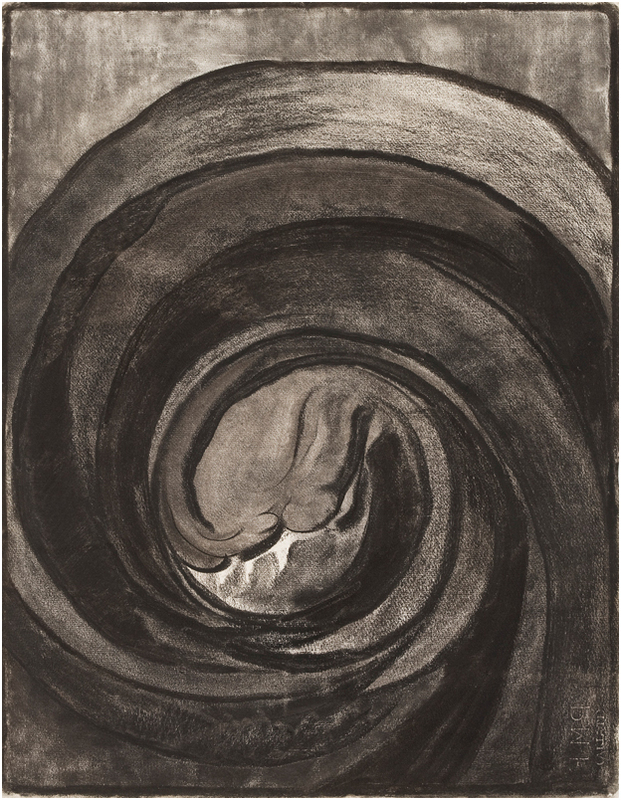 We also like this charcoal drawing by Georgia O'Keeffe (left). Her abstract work was inspired by organic forms from nature like flowers and trees. There is a beautiful fluidity in the rhythmic spirals in this drawing. 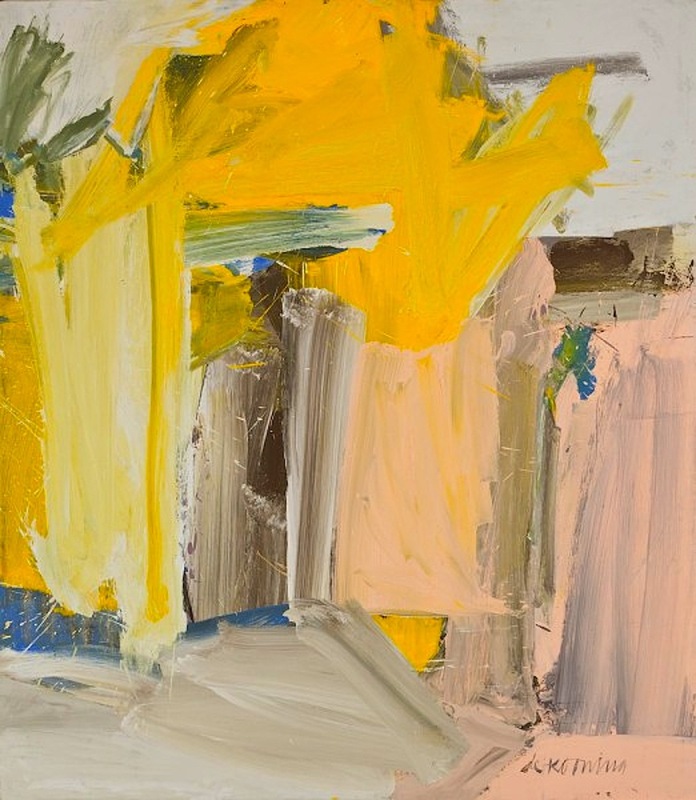 Willem de Kooning's paintings were also beautifully vibrant, such as this work called 'Door to the River' (right) which uses giant strokes of pink and yellow. As well as a fantastic permanent collection, there was a retrospective of Frank Stella which we caught. The exhibition showcased works from the 1950s to the present day with over 120 works of art including paintings, sculptures and drawings. Stella is a key figure in American Modernism, inspiring minimal, abstract and colour fields artists so it felt pertinent to see his work in New York. We were also attracted by his bold colour schemes, works of art like this can enliven modern and minimal interiors.